At Safety & Technical Hydraulics we recognise the importance of great customer service and support. Our dedicated and experienced team are always ready to assist. So whether you need assistance in specifying product, operational advice, product maintenance or repair, certification or calibration services we can help. All product repair, service, routine maintenance, certification and calibration work is undertaken by our factory trained technicians utilising our comprehensive in-house facilities to the highest standards and in strict observance of our ISO 9001:2008 quality management system. 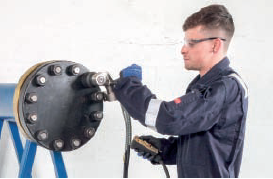 Our specialist technicians perform repairs and service on all major hydraulic brands and are authorised to perform warranty repair work on a wide range of equipment. Repair and service work is usually estimated without charge and supported by a service warranty, on occassions where repair is not viable we can offer competitive quotations for replacement. 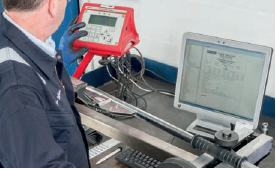 Our hydraulic pressure and load test facilities allow us to test and certify pressure equipment up to 60,000 Psi (4,100 Bar) and load test hydraulic equipment to 1,000 Tonnes. 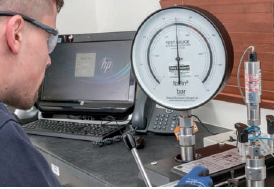 Our fully equipped calibration laboratory enables the precise calibration of pressure instruments such as standard test gauges and chart recorders up to 30,000 Psi (2,000 Bar). 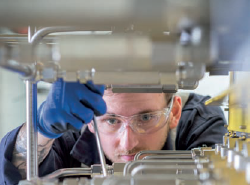 Our experienced and capable technicians are available to support your operational requirements, whether equipment operation, maintenance, repair or re-certification. Providing support on and offshore for lifting and positioning, bolting and flange handling or flushing and testing applications our technicians will deliver the assurance that your project deserves.